Roller Shades, also called Roller Blinds, are excellent all-purpose window treatments that can suit virtually any style of home. They provide a clean and simple look, and our wide variety of 280+ materials means you can coordinate your shades with any color and texture in your décor. Roller Shades also have a unique ability to hang on windows and doors that many other treatments can’t handle. This is due to the two roll types available: the regular roll and the reverse roll. We’ll explain what these roll types look like and how to choose which one is best for your space. Roller Blinds with a regular roll let the material sit closest to the window, with the roll exposed and the material falling off the back. This arrangement puts the roll and the brackets on display when the shade is drawn. Our designer brackets are available in five colors. 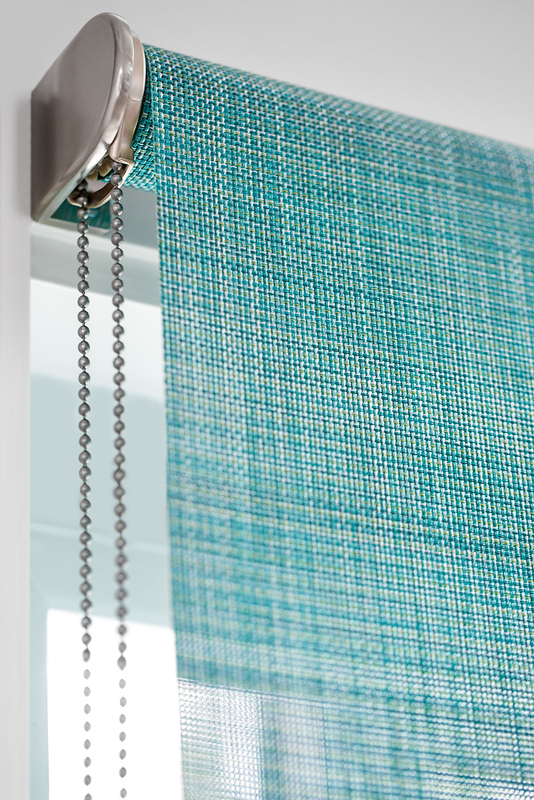 If you’d prefer to hide the roll but want your shade close to the window, regular roll shades are compatible with our metal valances and upholstered valances. If you are using an inside mount for your shades (meaning your shades will sit within your window casing) and the depth is shallow, regular rolls are the way to go. The material will sit close to the glass instead of protruding out into the room. Our designer brackets need a minimum depth of only ¾” for typically sized windows. When light blockage is a priority, the regular roll will allow less light to seep in around the sides of the window than a reverse roll. 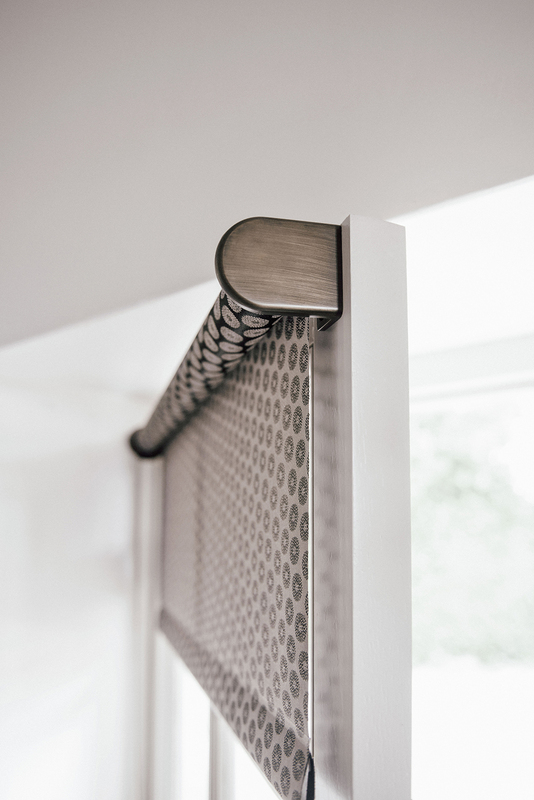 The reverse roll allows your Roller Blind material to fall forward off the roll, keeping the roll concealed when the shade is drawn. This creates a gap between the shade and the window. When adding treatments to doors with handles or to windows with cranks, this gap lets the shade close over these types of objects. Upholstered valances can be added to reverse roll Roller Blinds as decorative accents, but metal valances will not work with this roll type. For the most sleek and minimal look, the reverse roll conceals the working of the shade and provides additional clearance. For light blocking and narrow casements, the regular roll is recommended. Talk to our expert Design Consultants about the right Roller Shade roll type for your home at one of our nationwide showrooms, or contact us at design@theshadestore.com.